The Moscow Synodal Choir conducted by Merited Artist of Russia Alexei Puzakov gave its first-ever concert at the Basilica San Nicola in Bari, Italy. BARI (Sputnik) Olga Lipich — The choir also sang in the crypt near the reliquary of St. Nicholas, one of the saints most worshipped by Russians. “St. Nicholas brings people together. Many Russian pilgrims come here to pray and we thank the Russian choir for its superb renditions of sacred music,” Father Ciro Capotosto, Dominican monk and Prior of the basilica, said. His praise was substantiated by the standing ovation with which the worshippers thanked the choir. One of the world’s best-known Christian sanctuaries, the vast basilica, with a nave and two aisles, is a magnificent example of 11th-12th century Romanesque architecture. Archpriest Andrei Boitsov, the Superior of St. Nicholas’ patriarchal metochion in Bari, served a liturgy at the San Nicola crypt, accompanied by the choir. It deeply impressed many Russian pilgrims who thanked the singers heartily. “The choir gave Italians an idea of our church music. It promoted Russian-Italian cultural contacts and landmarked Orthodox Christian preaching to Catholics,” Father Andrei said. The patriarchal metochion (ecclesiastical embassy church) in Bari near San Nicola was built a century ago by Alexei Schussev, one of Russia’s best-known architects. The choir came to Apulia in Italy’s south to take part in a church music festival in Ruvo di Puglia not far from Bari as a guest of honor, recommended by the Sistine Chapel Choir, with which it has collaborated for several years. Its festival concert last Saturday was described by many as a tremendous success. The annual festival of Ruvo di Puglia, which has the motto, “Cantero per sempre l’amore del Signore,” was established in 2010 to commemorate Maestro Michele Cantatore (1919-2005), an outstanding local composer, organist and music professor. “We have never before heard Russia’s sublime church music, and this concert was a rare spiritual experience,” Maestro Angelo Anselmi, the festival director, said. The choir’s artistic director Alexei Puzakov hopes that the discovery of Russian church singing will help Italians understand the Russian heart and mind, promote intercultural contacts between Roman Catholics and the Orthodox Church, and encourage pilgrims. 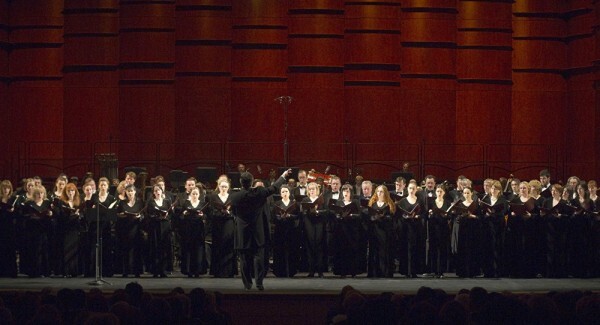 The Moscow Synodal Choir is one of the longest-established professional church choirs in Russia. Originally subordinate to the metropolitans of Kiev, and later of Vladimir and Moscow, it went over under the Patriarch’s auspices after the Moscow Patriarchal See was established in 1589. The choir appeared at the most solemn church services and secular events together with the Royal choir. As the Patriarchate was abolished and the Ruling Synod created in 1721, the choir was renamed Synodal. It was disbanded in 1918 and revived in 2009. The new choir was based on the celebrated choir of the Church of Our Lady the Joy of All Afflicted on Bolshaya Ordynka Street in Moscow. Metropolitan Hilarion of Volokolamsk, the chairman of the Department of External Church Relations, is Father Superior of the church, which has preserved the traditional Moscow style of liturgical singing – largely thanks to its precentor Nikolai Matveyev. Its 80 plus singers are graduates of leading music academies. The repertoire samples Russian church musical classics – Tchaikovsky, Rachmaninoff, Sviridov, Chesnokov, Bortnyansky and Lvov – and works by Metropolitan Hilarion, once a Moscow Conservatory student (named Grigory Alfeyev before taking his vows).